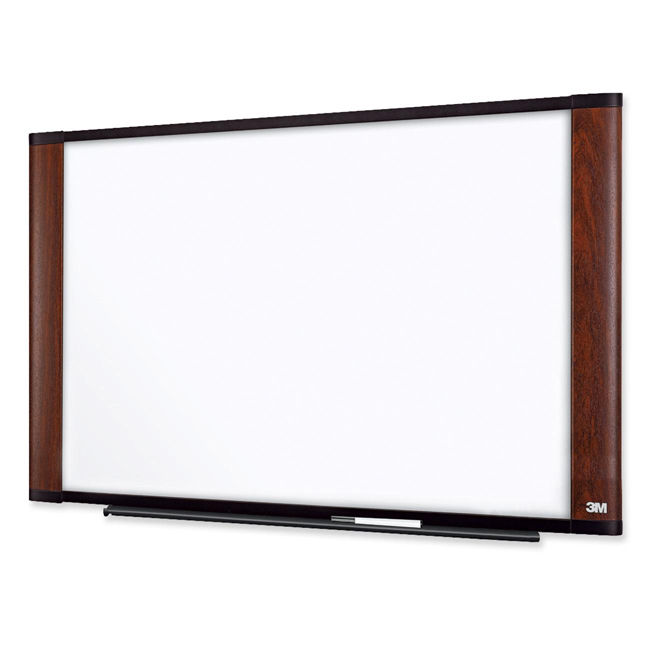 3M Melamine Dry Erase Board. 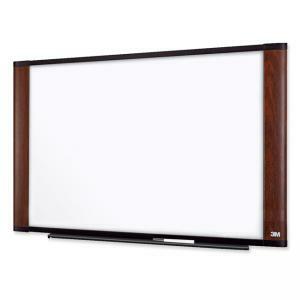 Wide Screen Style Mahogany finish frame. 72"x48". Marker/eraser tray snaps easily into place. Includes mounting brackets plus Command picture hanging strips to stabilize bottom. Frame is securely fastened using screws for additional durability.